This is the part we all want in our business – the part that will see the $ coming in the door – money is everything to a business – it is the lifeblood and so important to our success. Many people are racing to get to this part without considering all the other elements we have discussed in this series. Everything you have done to this point has been about understanding your customer; making them aware of your business, products and services and funnelling them into your shop front – and providing them with an opportunity to buy from you. This area is all about your internal processes – primarily customer service – what happens once the customer is in your shop front and ready to hand over their hard earned money in exchange for your products or services. • Enquiry – how do you manage enquiries and also following up potential leads once they have made contact with your business? 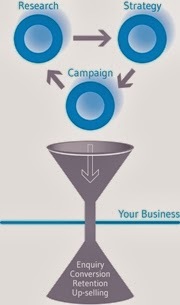 • Conversion – What is your conversion rate – are you meeting the needs of the customers who are knocking on your door? • Retaining – It is easier and cheaper to keep a customer than to get a new one. What are you doing in your business to retain loyalty and also encourage positive word of mouth? Think of all the work you have done to get someone to this point – don’t waste it by being lazy and providing poor service. Also remember that it is cheaper and easier to keep a customer than to get a new one. Once you have made the sale it is not over – it is time to revisit your Research – to make sure that you are not wasting your resources undertaking marketing activity that is not sending the right person into your business and therefore you are not getting the sales that you deserve.